Larry's Produce is a popular roadside produce stand in Suisun Valley open daily from 9 a.m. to 5 p.m. June to December every year. Larry Balestra, a fourth generation farmer, and his wife Lisa, opened the produce stand in the summer of 1986 at their current location on Suisun Valley Road near Fairfield. With only themselves and a single employee, the trio farmed about 40 acres to start. After years of hard work and developing innovative business techniques, they now farm over 1,200 acres that include various fruits and vegetables sold at the stand, as well as wheat, safflower, garbanzo beans and canario beans. The small fruit stand has also grown substantially and has turned into a busy hub for both local shoppers and businesses as well as visitors from adjacent cities and counties. The Balestras employ approximately 80 people during the peak season. In addition to selling the large variety of fruits and vegetables they grow on their land, they also augment their selection by purchasing products from the San Francisco terminal market. These are generally fruits and vegetables that they are unable to grow themselves due to climate and soil restrictions. By further serving their customers in this way, Larry's has become a one-stop shopping stand for fresh produce and one of the largest in Solano County. 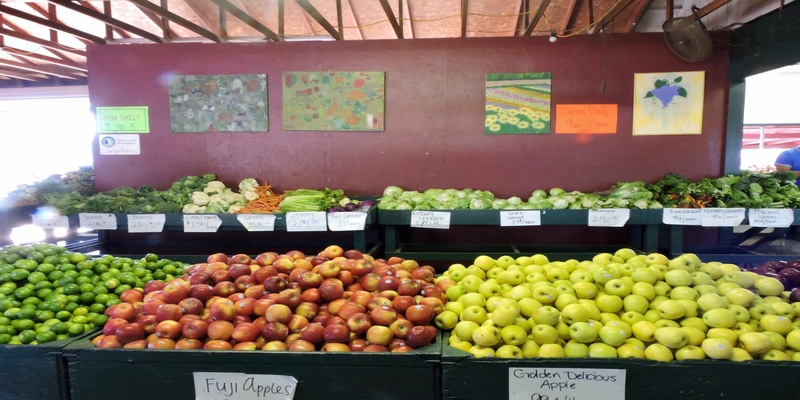 The beloved farm stand on Suisun Valley Road will be open daily, 9 a.m. to 5 p.m., through the end of December.